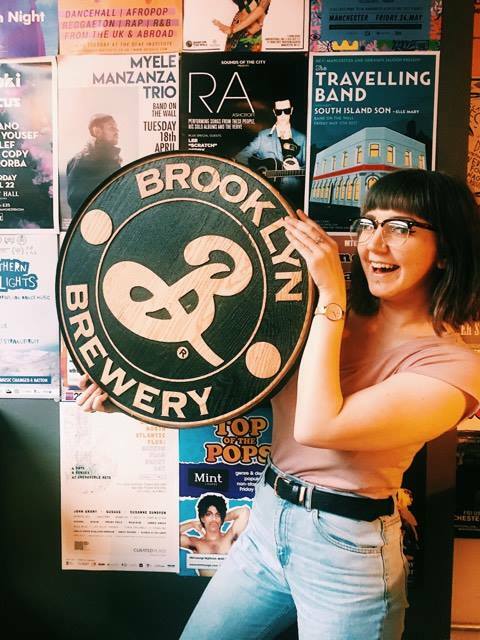 If somebody says to you “give up your night to drink free Brooklyn Brewery beer” you might be a bit sceptical. 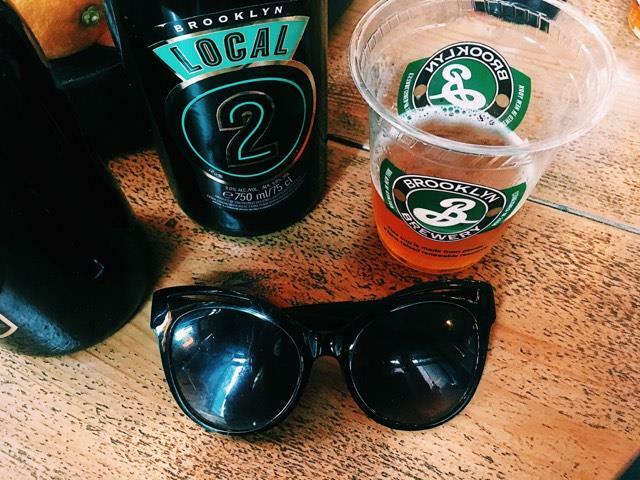 You’ve had the standard Brooklyn lagar in a can or a glass bottle, and the dark larger may not have tantalised your taste buds. I am exactly the same. 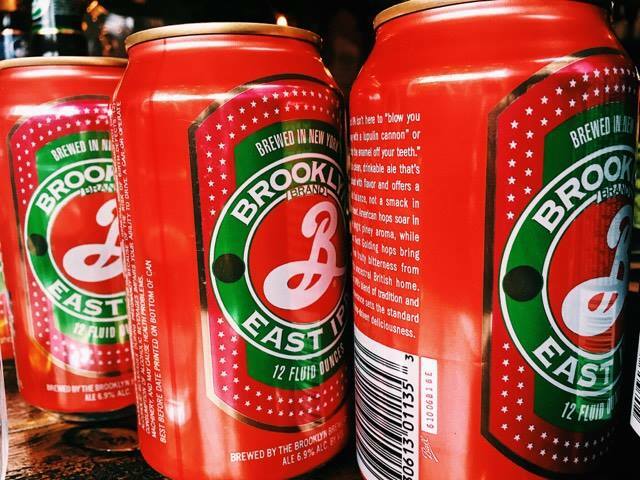 If that is the case for you too, then do not wipe Brooklyn Brewery off of your taste pallet just yet. Whether it is for: sitting down with your mates for a beverage or ten, having that ‘one last drink’ as you throw yourself face-first into a ham and pineapple pizza (pineapple DOES go on pizza for the record) at an after party or just need that something to help you unwind after a stressful day of doing nothing – Brooklyn Brewery has the answers. 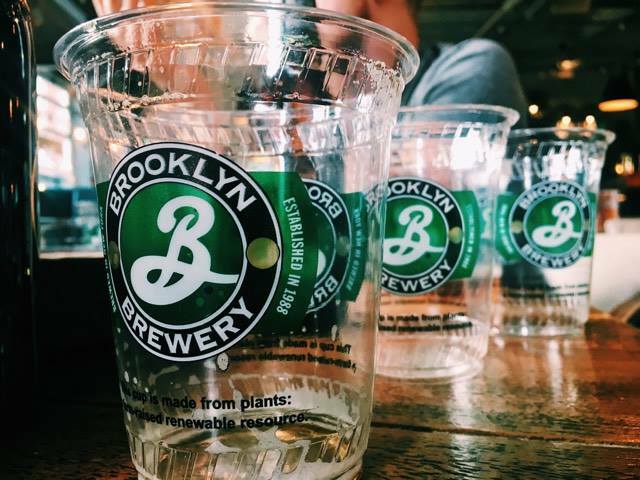 At the end of April 2017, employees of Yard & Coop were luckily invited to an intimate tasting session with Brooklyn Brewery representative, Chris Moore. 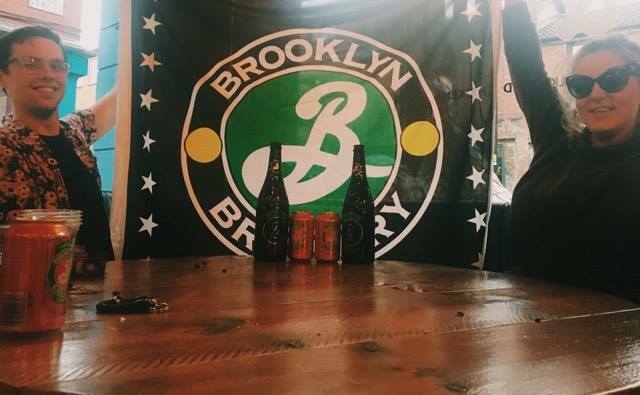 At the meeting Moore delved into the rich history of Brooklyn Brewery, explaining that the company’s founder had escaped death several times in various countries before the venture was even a thought and that when the New York Mafia come knocking you seriously have to show them who is the boss. 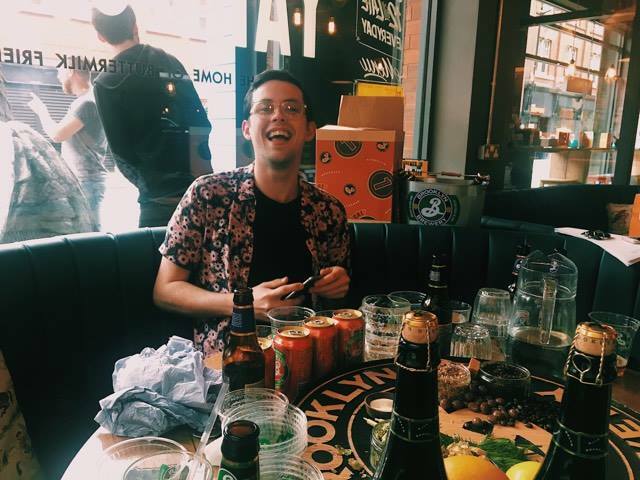 Alongside swerving through the archaic foundations of Brooklyn, Moore had brought us a selection of the brewery’s finest delights to sample. 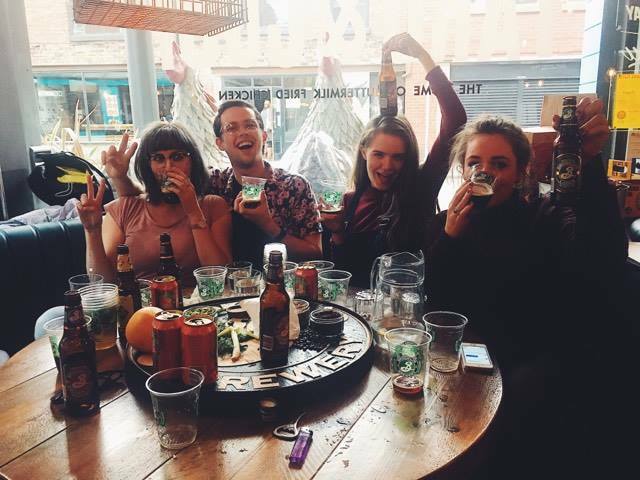 Now, imagine: a variety of bar tenders, the front of house staff and managers on their day off, swarming around a table filled with sweet treats and alcoholic elixir’s we have never tasted before. Win, win – a recipe made in heaven. 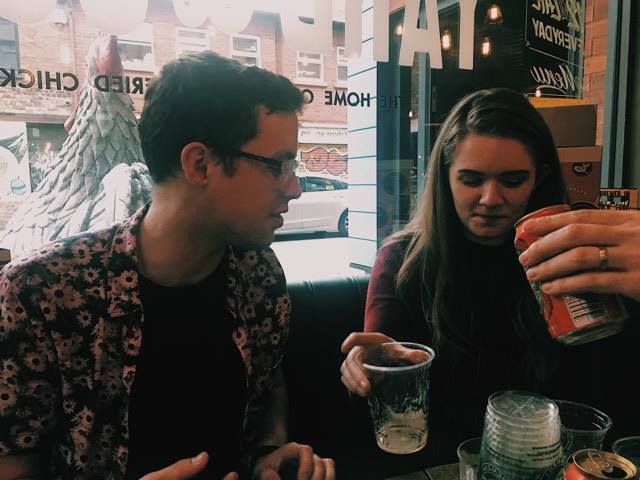 Alcoholic beverages are one of our main passions in life. 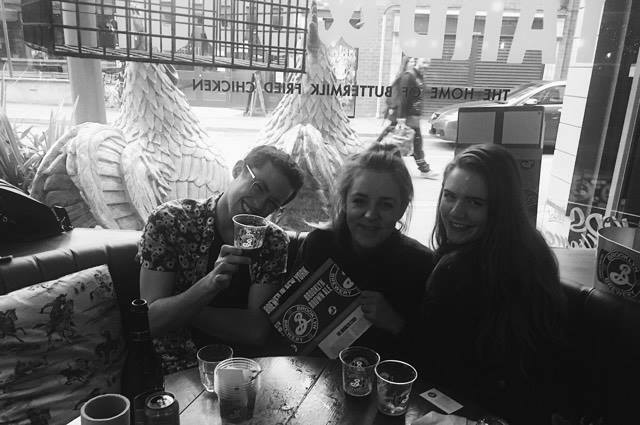 We are not working in a Northern Quarter bar and eatery for any old reason, you know. 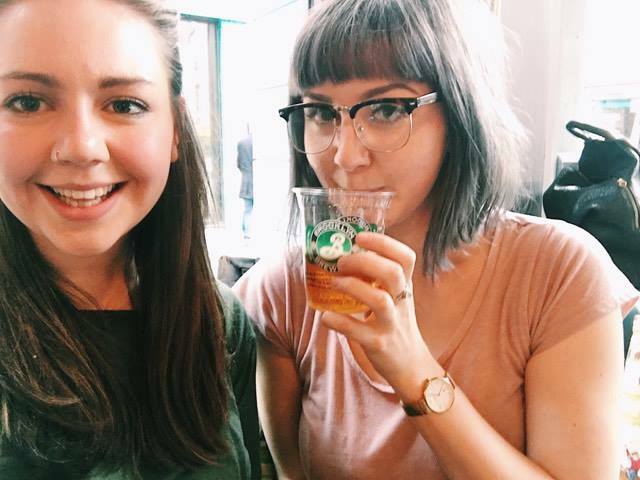 We like to drink. 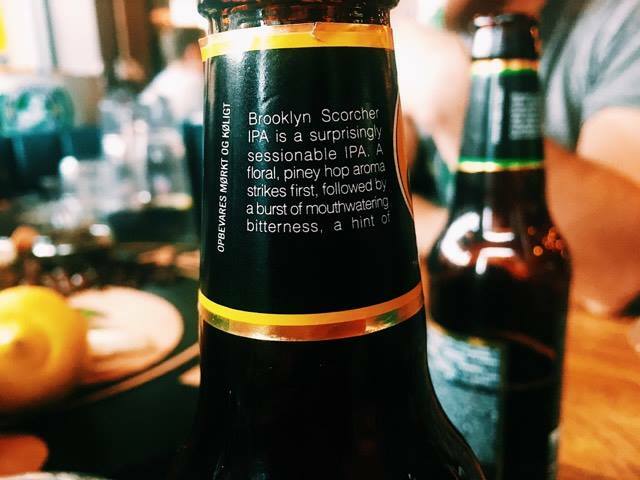 One of the first beers Moore pulled from his box of tricks is well-known and celebrated ‘Brooklyn Lager’. 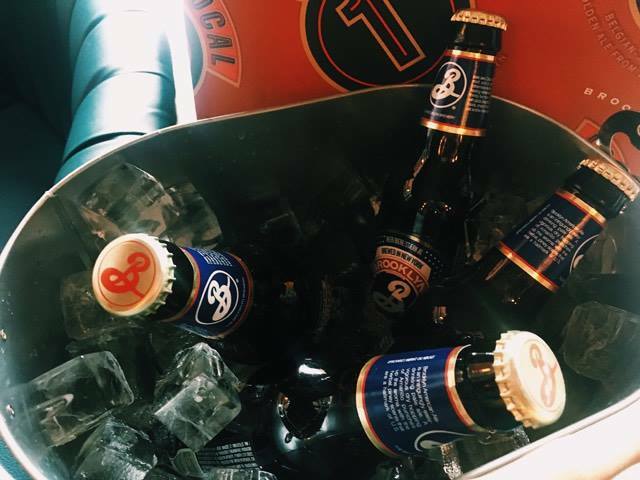 With a surprisingly fresh bitterness hugged by a floral and dry taste, the Lager is the Brooklyn Brewery signature. 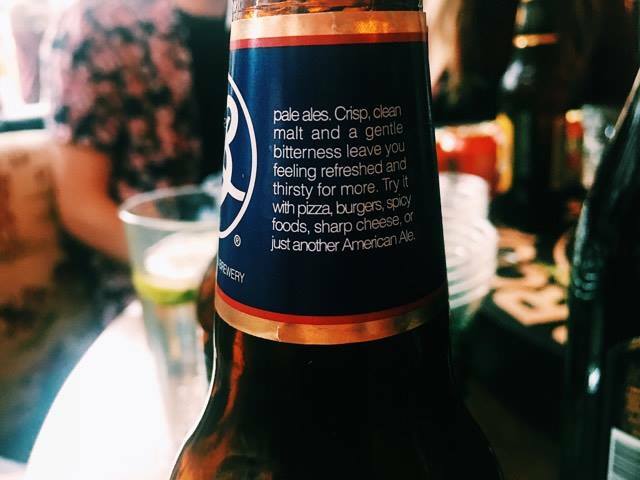 You can find it throughout bars across the country and, if you do not spot anything you know on a menu – sure enough hiding in there somewhere will always be Brooklyn Lager. A safe bet for a craft beer. 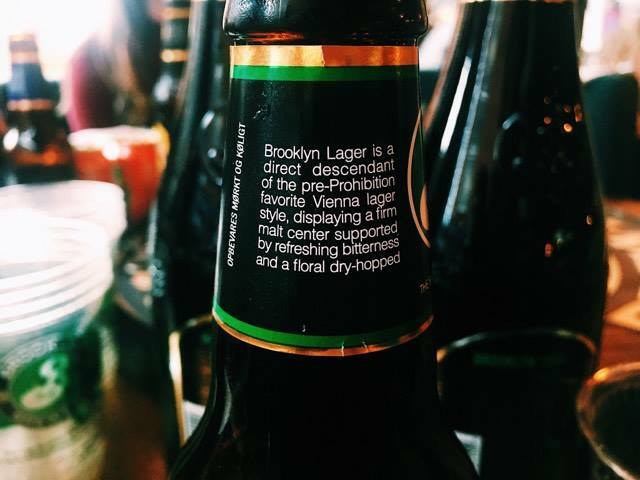 The Brooklyn Lager won’t appeal to everybody, however. 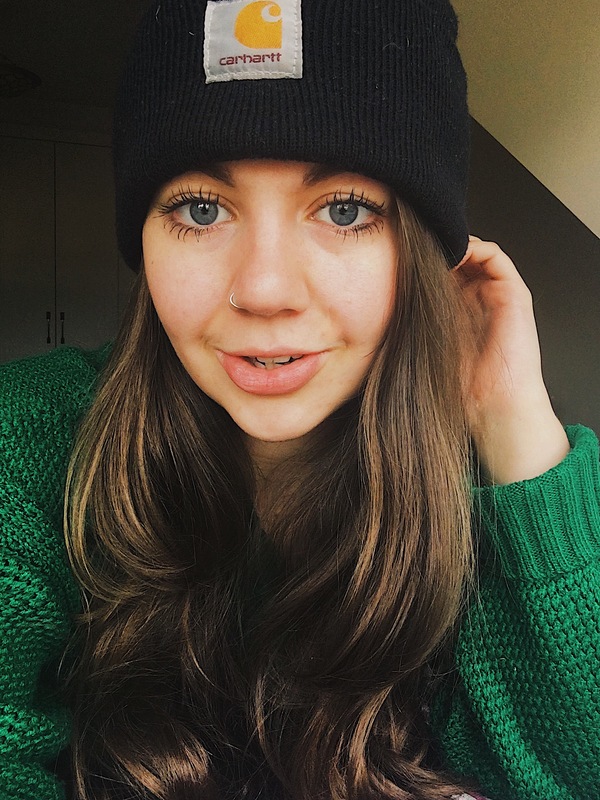 With its distinct taste and dark colour, it carries the same motto as Marmite – you are either going to love it like the feeling of having a full fridge at Christmas or hate it like your housemate using up your milk. So if that is the case, then Brooklyn is not for you, right? If you are an avid New World Trading Co. fan (IE. 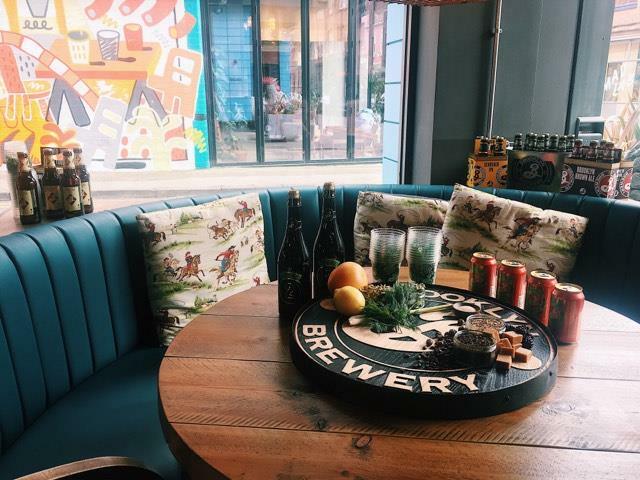 The Botanist, The Oast House, MCR Smugglers Cove, LIV) then you would have seen the Brooklyn East India Pale Ale stacked high on its ventures shelves. 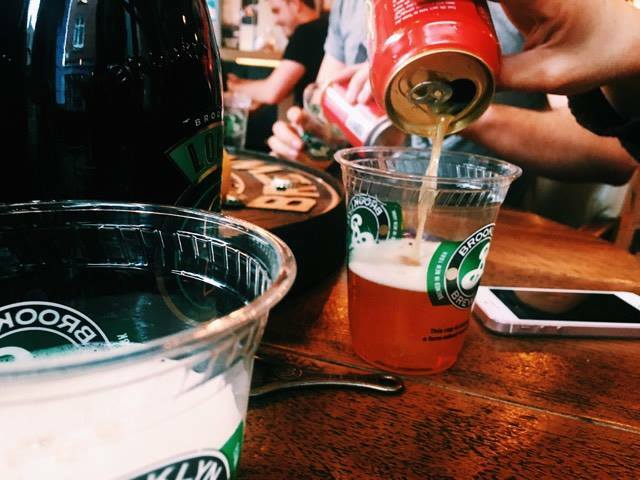 The only Brooklyn Brewery offerings that was brought to the event in a can, the pale ale packed a serious punch – it is unbelievably juicy, thirst-quenching and ripe, but it is not for the faint hearted! The main attraction, for me however, came surprisingly in the form of the Brooklyn Brown Ale. 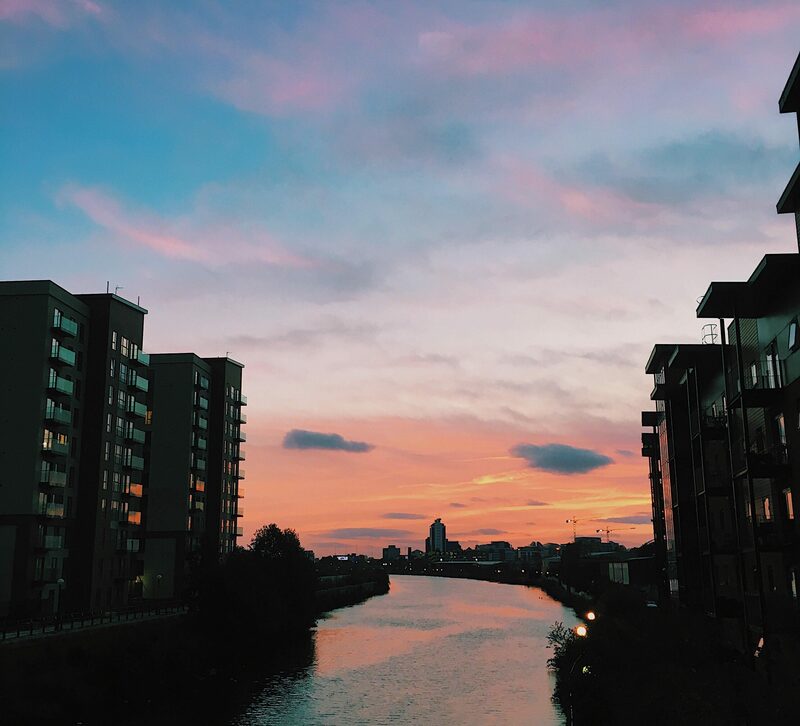 Now, I am a Geordie girl. And other than that MTV show what are Geordies famous for? Newcastle Brown Ale. What does not taste nice? 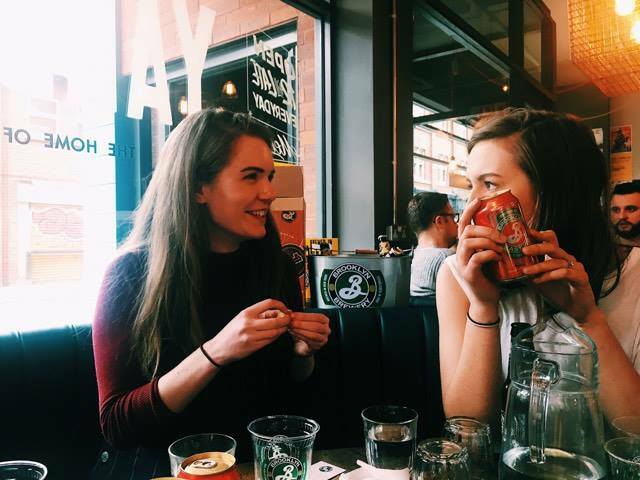 Newcastle Brown Ale. 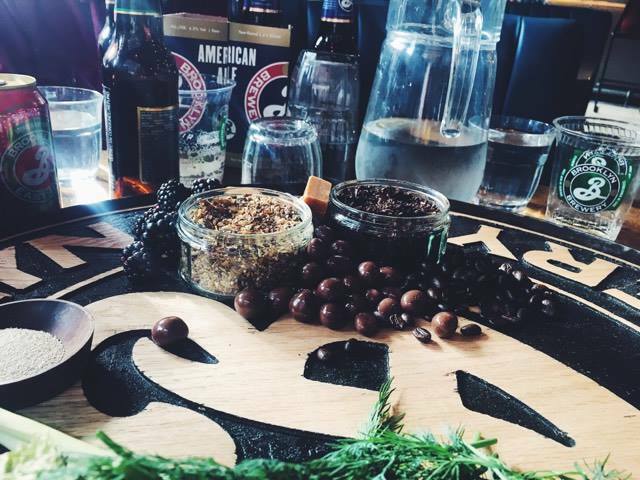 What has changed my complete perspective on brown ale (maybe) forever? 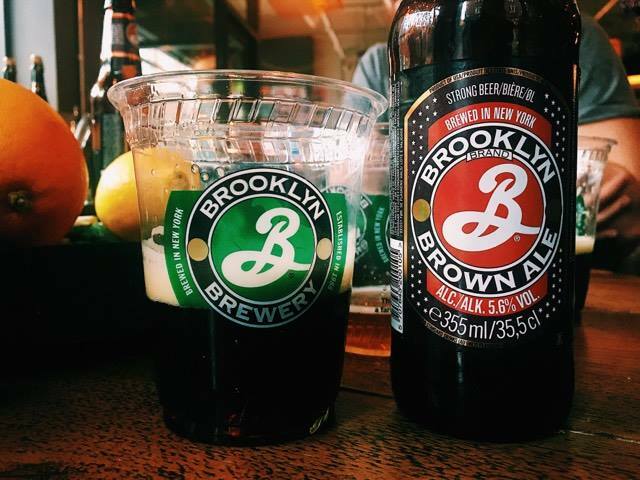 Brooklyn Brown Ale. 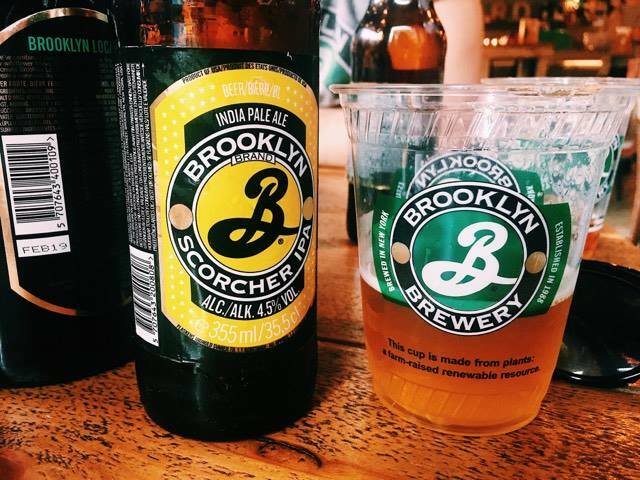 Nicknamed ‘the roasty’, this Brooklyn offering incorporates its British heritage with an American twist. 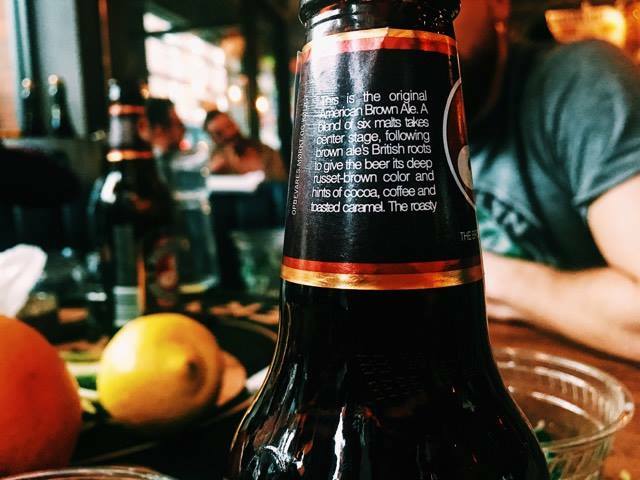 Brown ale that boasts six malts caressing layers of sweet toasted caramel, bitter cocoa and strong coffee – all blended together to create this rich and enticing beer. 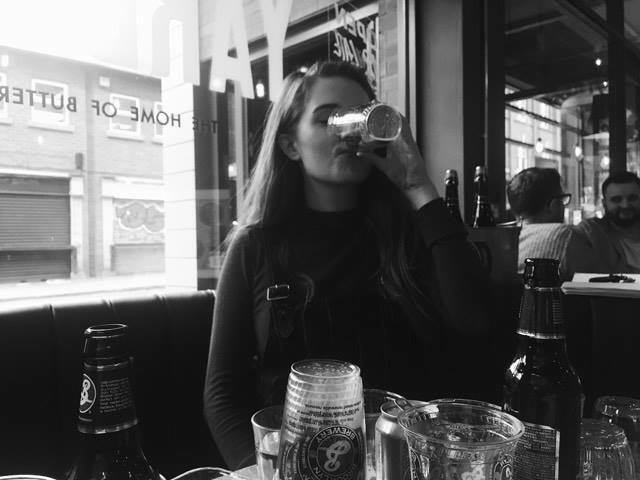 The sheer volume of substance in the ale warms the pit of your stomach, changing your idea that Brown Ale is not just something you have to snidely avoid, even if it is on offer in a night club’s fridge. 42nd Street in Manchester, I’m looking at you. 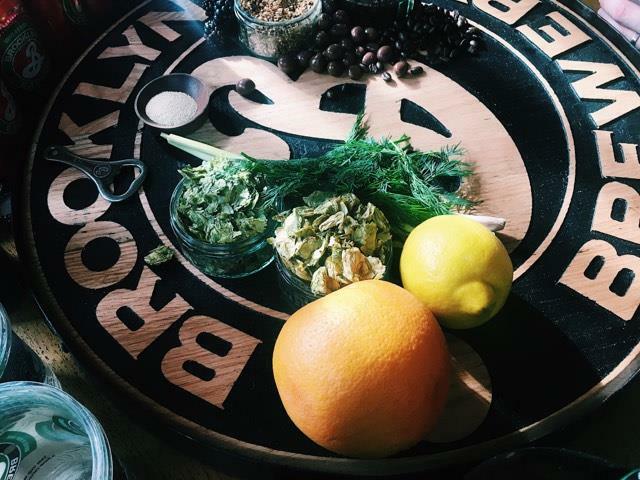 Riveting, inviting and seriously tasty: if I can urge you to do anything this month, it is try to nab yourself a taste of Brooklyn. Do not play it safe – go big. 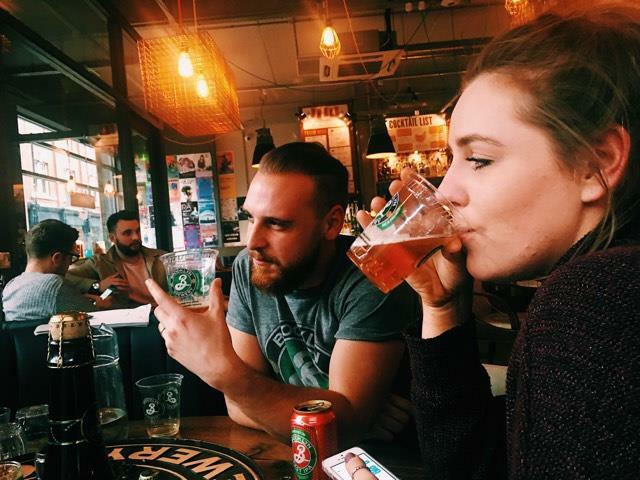 If the American Ale sounds your thing then take the plunge or if you want something a little bit different to nag your mates about buying, go for the East India Pale Ale. 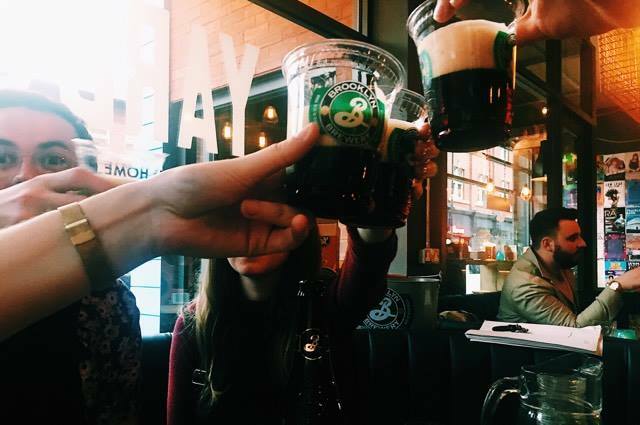 Whatever your tipple, make it Brooklyn Brewery.